International brand Johnson & Johnson (J&J) has been ordered by a US court to pay a total of $4.7-billion in damages to 22 women who alleged that the J&J talc products they used caused them to develop ovarian cancer. The court verdict against J&J came after the international pharmaceutical company was implicated in a total of 9 000 cases linked with the same talc powder product. The trial involving the 22 women lasted six-weeks, where the women and their families stated that the J&J product had caused them to develop ovarian cancer after consistent use over a number of years. To date, six of the 22 women represented in the case have died from ovarian cancer. Lawyers in defense of the inflicted women alleged that the company knew its talc was contaminated with asbestos since the 1970s but failed to warn consumers about the risks. Talc is a mineral that is sometimes found in the ground in close proximity to asbestos. Asbestos is a naturally occurring mineral that is linked to many serious diseases including lung cancer, mesothelioma, and asbestosis. The US Food and Drug Administration (FDA) commission a study which tested a variety of talc samples, including J&J, from 2009 to 2010, these tests found no trace of asbestos in any of the samples tested. However the prosecution lawyer present at the US court when the verdict was issued, told the court that flawed testing methods were used to produce these results. Forum shopping is a term used for the practice of litigants having their legal case heard in the court thought most likely to provide a favorable judgment. 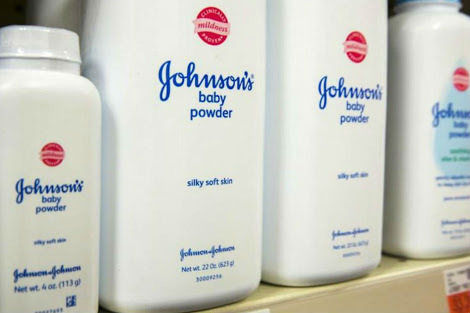 A previous court ruling in 2017 by a California jury also awarded $417-million to a women who claimed she developed ovarian cancer after using J&J products, including the baby powder. This verdict was later overturned, that verdict as well as several other legal challenges by J&J are yet to be decided.